Redeem this special and receive $20 off your first visit! This is an offer good for any first time customers. Please mention this special to get the discount. An appointment is needed to qualify for this discount. Cannot be combined with any other offer. 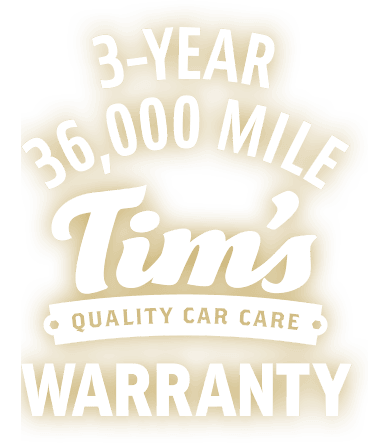 I have been going to Tim's Quality Car Care for about 10 years now. I have been a returning customer because Tim's has always treated me with respect and honesty. The 2 brothers that own and operate the shop are well educated and extremely professional. They are incredible experts at their craft and always communicate with you in a clear and understanding way. This is the best place of business that I have ever gone to for automotive repair - period. Tim's Quality Car care in Metairie, LA, provides motorists with comprehensive auto repair services. You'll be hard-pressed to find the same level of expertise that our auto mechanic specialists provide. Our goal is to offer the best services available at affordable prices to get you back on the road in no time. Treating people well, like family is what we do. Our philosophy is to provide the same care and attention to detail to you and your vehicle as we would to our own loved one's. Keeping you safe is our #1 concern. That's why we go above and beyond to maintain your car and keep it dependable - giving you peace of mind when you're on the road with your family. We stand behind our work and always strive to provide the best service to you and your car. That's why we offer an idustry leading 3-Year, 36,000 Mile Warranty on all repairs as well as batteries.